For daily use in the shower, especially helpful for sensitive, tired and dry skin. Emollient for daily use in the shower, especially helpful for sensitive dry skin. 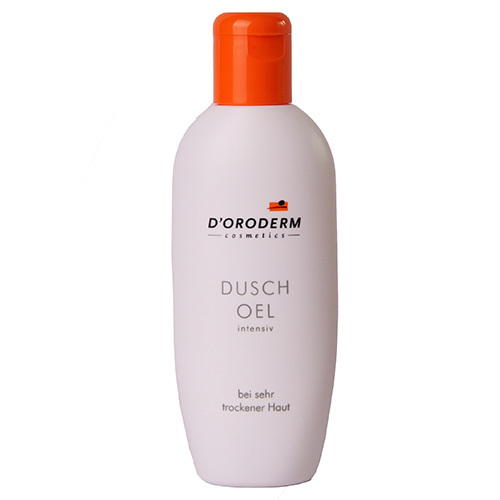 D´Oroderm ShowerOil is a gentle cleanser and protects the skin by strengthening its natural defenses. Argan oil minimizes moisture loss and skin itching. D´Oroderm ShowerOil is the ideal alternative for active people who shower often. Ingredients: Helianthus Annuus Seed Oil, MIPA-Laureth Sulfate, Laureth-3, Caprylic/Capric Triglyceride, Laureth-7 Citrate, Ricinus Communis Seed Oil, Laureth-9, Parfum (Fragrance).